One of the beautiful things about Evernote is that everything is searchable. You don’t really need to keep your notes in separate notebooks. However, I find that keeping certain types of notes in specific notebooks help me to locate information that I may not have remembered I stored inside my Evernote account. When we moved to Argentina recently I started an Argentina specific notebook. Inside this notebook I keep phone numbers of other missionaries and service providers. This way I can go to that one notebook and browse quickly to either find information that I need, or to see if I already have a service provider that was recommended previously. I mark everything in this notebook as a favorite which saves the item on my phone and eliminates the need for a data connection to read the information. This is helpful since much of the information stored in this notebook will be items that I need to reference when I am in town and away from my Internet connection at home. Bonus: While it is easy to save local contacts into my phone, I have a note in Evernote which is a phone list of all the missionaries and national pastors that I know in the country. This phone list contains their addresses, phone numbers and any online contact information I have for them. Many are people I have never met and I will probably never call. I certainly would not remember their name if I had to look them up in my normal phone contact list during an emergency. However, I can go to this one note and find out if there is a missionary or pastor near where I am located that I could contact in case I really needed help from a Christian brother and I am in a town where I don’t know anyone. 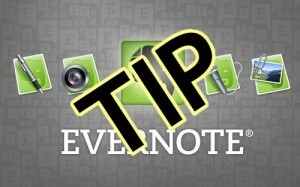 Evernote is a great program and a big help. I use it all the time as a missionary in Japan. I, too, highly recommend it. Thanks for writing about tech in ministry.